W x L: 18" x 20"
Compare to Uline S-12319 and Save! 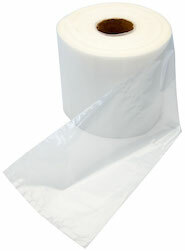 These 18" x 20" 3-mil slider zipper locking bags can be described with one word, "Convenience". These Easy to use slider bags open/close feature is what has made the SliderLock bags so popular. 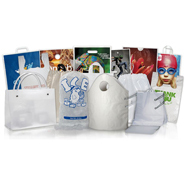 These Clearzip® Lock Top 18 x 20 .003 mil slider lock seal zipper locking bags great for a wide variety of applications such as, Healthcare, Restaurants, Kit Manufacturers, Document Storage, Agriculture, Airports, and in schools because they are simple enough to operate even for small children. These 18in. x 20in. 3mil slide zipper bags close quickly and easily the first time, and every time. All Clearzip® Lock Top .003 mil slide lock bags are made of Made of Low Density Polyethylene (LDPE) resin and meets FDA/USDA specifications for food contact. These cheap zip locking bags are also great for environments where latex gloves are needing to be worn. Closing the bag is a snap with it's built in plastic tab that easily slides to close or open the bag. Mechanics or autobody shops might find these "Zip Slider" bags very useful in the shop when you are either wearing thick gloves or hospital gloves or even when you hands are covered in grease and you can't get a good grip on a regular zip locking bag. Get more than one case and you'll be satisfied and glad slide seal zipper bags.